Recording of the 'How To Create Your Big Vision Masterclass' during the Dare to Dream Bigger Online Summit in 2016. André takes you through a wonderful step by step process to connect with your vision, your purpose and your 'big why'. He'll also address how to inspire people and the 3-step secret of how to energise your dreams to turn them into reality - fast. Watch the video online or download the video, mp3, and transcript of this masterclass for off-line use. 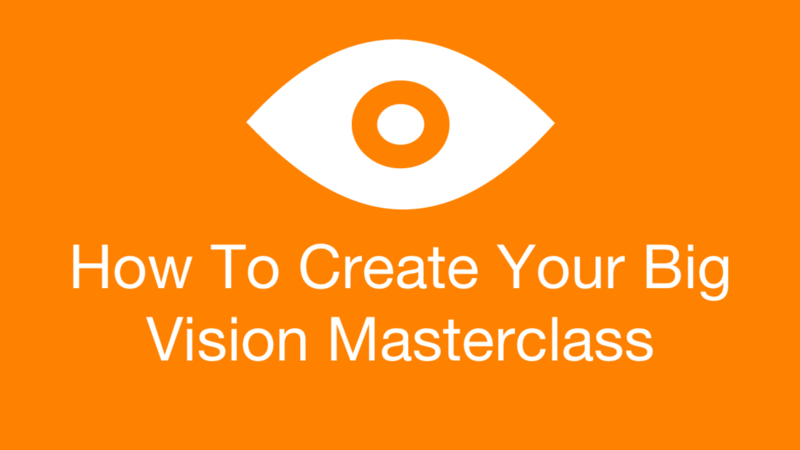 In this recording of the How To Create Your Big Vision Masterclass during the Dare to Dream Bigger Online Summit, André takes you through a wonderful step by step process to connect with your vision, your purpose and your 'big why'. He'll also address how to inspire people and the 3-step secret of how to energise your dreams to turn them into reality - fast.